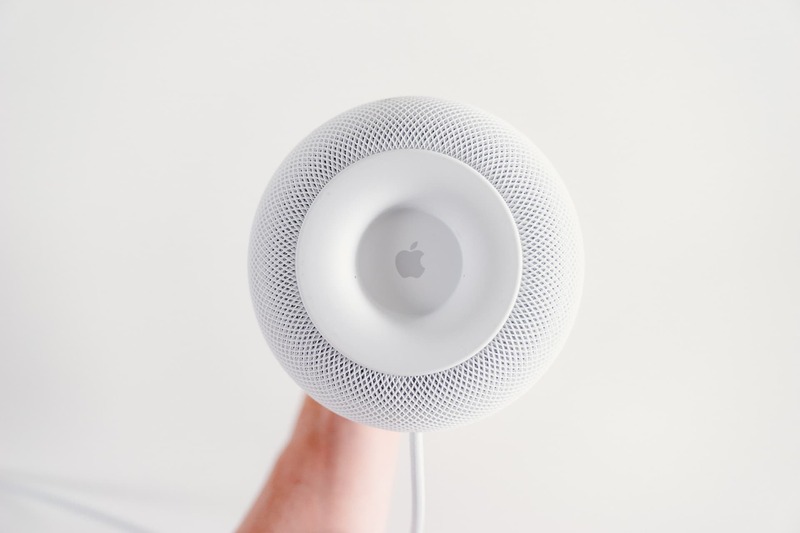 The white Apple HomePod is a mainstay in our household. No new Apple product has garnered as much conversation in my home as the HomePod. 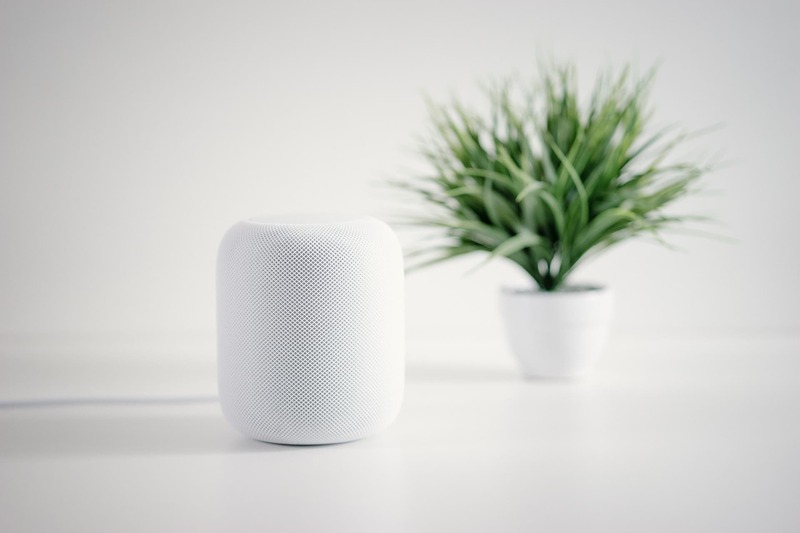 Whether this is due to its elegant, approachable design or its still-whimsical “Hey Siri” jump-off, HomePod has started more conversations and finished off with more “I want one of those!” than any Apple product I’ve previously purchased. I don’t have anything majorly new to say. 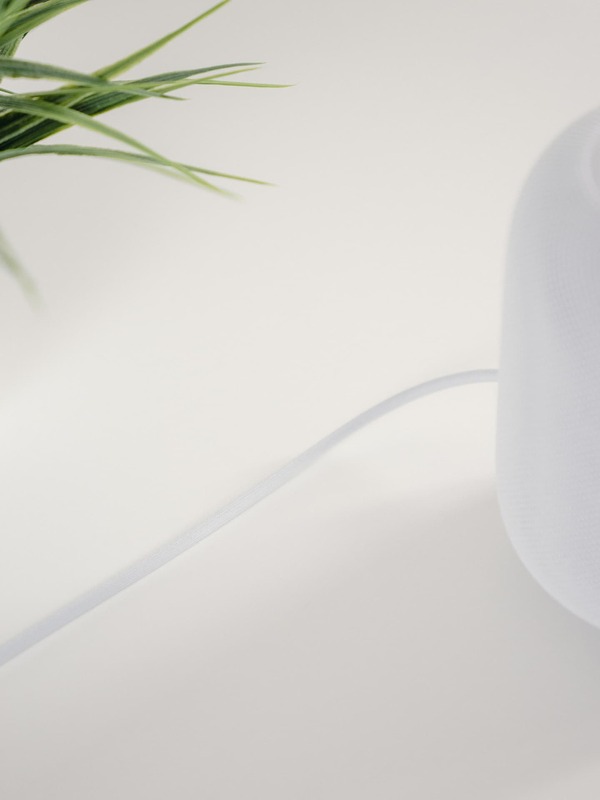 The HomePod was launched in the United States back in 2017. It’s the second point that is a particular sticking point; for every outspoken individual shouting for more government regulation is one soft-spoken individual who has to wait more than six months (or even years!) for the latest innovation to roll out in their home country. For whatever reason, HomePod only launched in Canada about a month ago. That six months did more harm than good to the HomePod. Complaints roared about how poor Siri can’t keep up with relative conversations and how she can’t seem to keep two timers going at once. She also can’t distinguish two voices, thereby locking the HomePod into a single Apple ID from the start. To an extent, these complaints are warranted. But I’ll be darned if I didn’t think these folks were missing the point. HomePod is a speaker. And a really, really good speaker at that. She plays music unlike any other device on Planet Earth, and her ground-breaking bass has ushered in new sounds to songs I’ve heard since I was five years old. I’ve listened to Streets probably three or four times a week for the last five straight years and there are certain parts of Adam Clayton’s bass guitar I didn’t know existed until about a month ago. 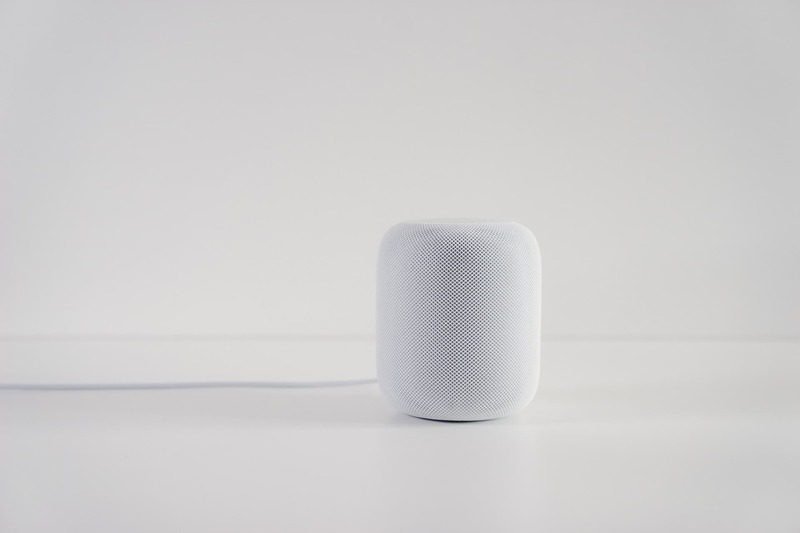 Another potentially unpopular stance: I’m not sure why anyone would bother with the space grey HomePod. 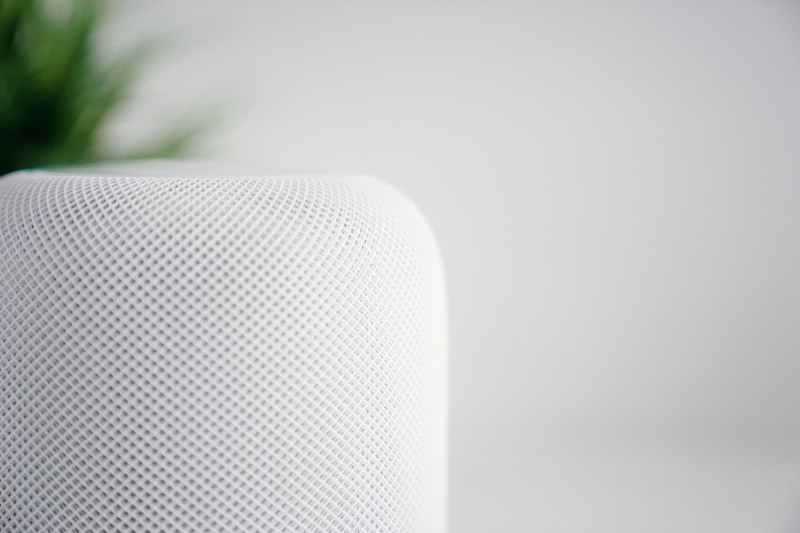 The cocoon-shaped mesh exterior of the white HomePod fits into 99% of today’s modern interior decorating, ensuring your speaker design will blend into the background as easily as its interaction method. 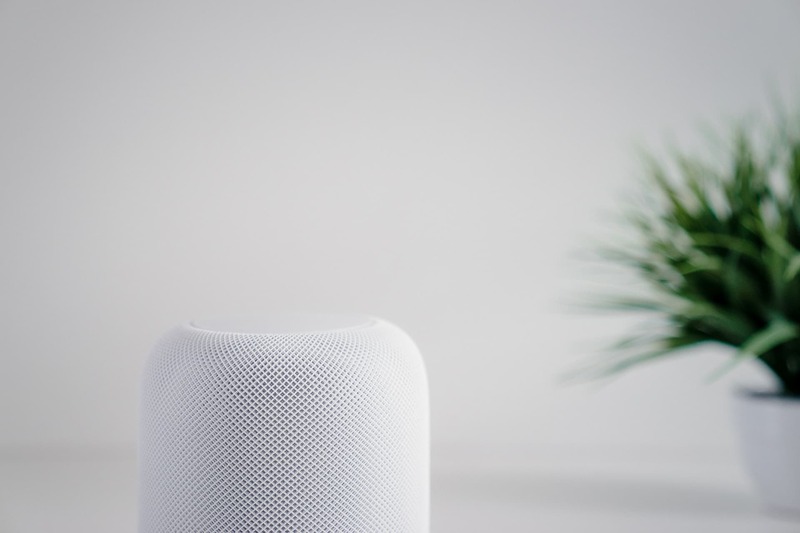 Plus, Siri’s rainbow-dancing figurine in the invisible up-top display comes to life in a more vibrant way on the white HomePod. “White” is undoubtedly superior in this Apple arena. Firing up Siri’s rainbow personality is a joy that never gets old. Too bad it’s so difficult to photograph. It takes a little practice to understand what multiple taps can do on HomePod’s touchscreen, but learning all the maneuvers is quite the activity. That onboard touchscreen is something to behold (and something very difficult to photograph). The way the rainbow lights up when you address Siri is quite the sight, and putting your finger to Siri’s bellybutton ushers in an aura of technological personality we’ve only dreamed of. I particularly love the way that rainbow dances as Siri sends out a comical quip before her “Dance Party” playlist fires up. The HomePod’s power cord is a woven cord that is the most durable cord I’ve ever seen come out of Cupertino. Apparently it’s removable, but I’d never be brave enough to give it a shot. 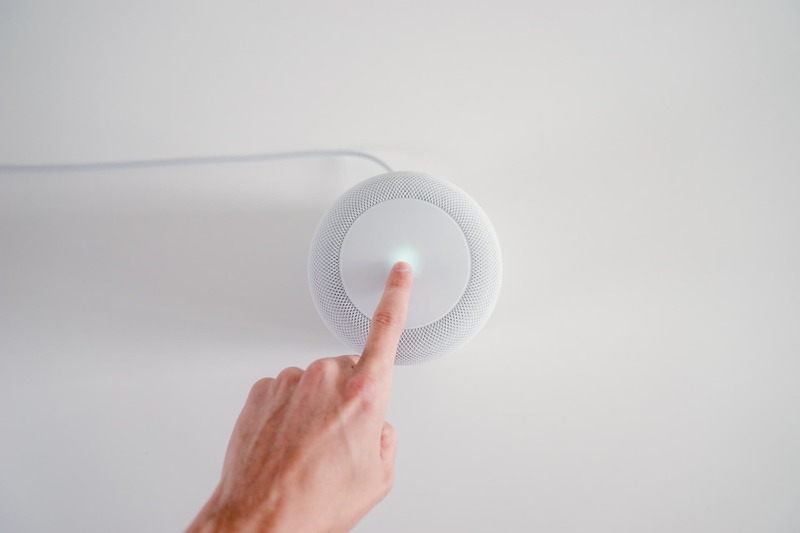 HomePod’s underside also had a range of complaints in its early days, as it would leave a white ring of residue on furniture after playing music. I haven’t noticed the white ring of death on my furniture, so maybe Apple has fixed up this issue. The “+” and “-“ buttons are a tad boring to be the only interactive buttons to press when the music is playing — a circular rainbow grooving to the beat could be far more entertaining. I think it’d be cool if there was a setting inside the Home app that allowed Siri to dance to the music like everyone else in the house. This is what everyone has been doing in my house since HomePod debuted a month ago: dancing. The ultimate litmus test in our house is whether Jaclyn ultimately falls prey to the allure of the latest Apple product. I figured it would take but a week for her to give in to temptation and ask Siri to tell her the weather, play her a chill song, or set a timer as she baked cookies in the afternoon. 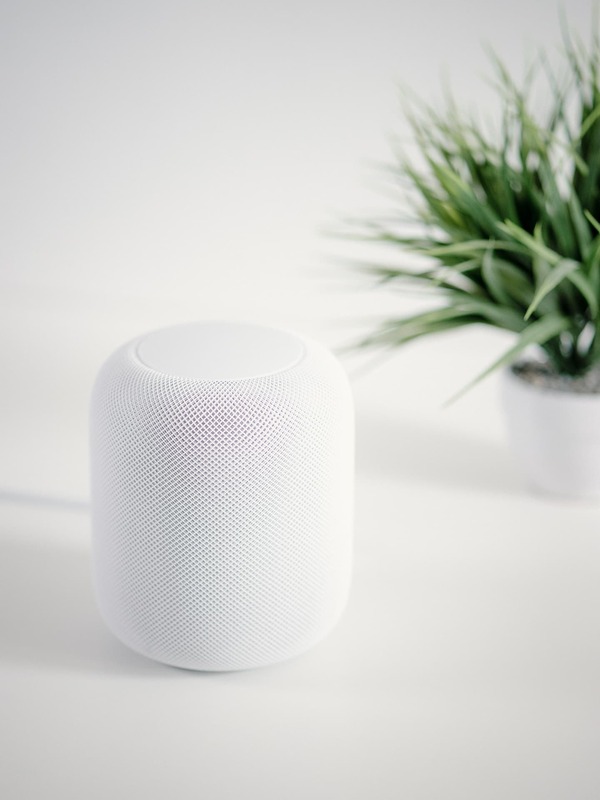 Like most things, I was right.1 Jaclyn had HomePod fired up the very first day after it was setup in the living room, and it played music throughout that evening as we sat on the deck drinking wine. As the majority of folks who read The Newsprint are situated within the United States, there’s very little new here. HomePod isn’t the greatest smart assistant. HomePod has a great design. 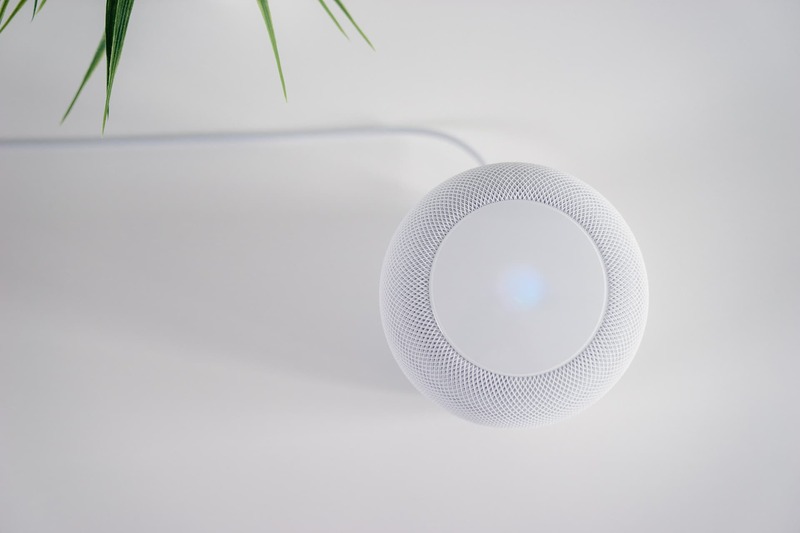 In my eyes, these pitfalls are what makes the HomePod one of my favourite Apple products in the last few years. I feel the majority of these complaints are myopic — Apple has always excelled in the music industry, and HomePod is first and foremost a testament to this dominance. But it was also myopic on Apple’s part to make HomePod a competitor with other, tinny-sounding smart assistants. If HomePod stuck to its guns and focused on what it does best, it’d be a must-have product in every Apple guru’s home. As it stands, that unbearable expectation gap will leave many thinking the HomePod is a jack of all trades and master of none. 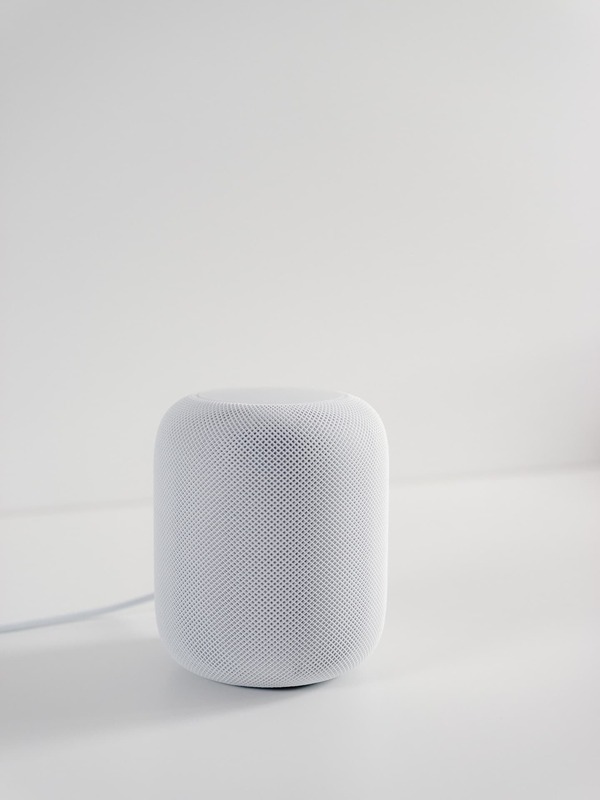 Apple’s HomePod has generated the most amount of interest of any prior Apple product in my home, and my wife uses it more than any other Apple product aside from her iPhone. The complaints are warranted, but I’m happy with HomePod being a simple speaker capable of knocking my socks off when the next wannabe U2 album debuts. Fortunately, the Jac in my house had very little in the way of expectations. Which means the HomePod has mastered music and found a permanent spot in our home.